"Those who belong to Christ through faith and Baptism must confess their baptismal faith before men. (Mt 10:32 & Rom 10:9)... The profession of faith summarizes the gifts that God gives man: as the Author of all that is good; as Redeemer; and as Sanctifier. It develops these in the three [parts] on our baptismal faith in the one God: the almighty Father, the Creator; his Son Jesus Christ, our Lord and Savior; and the Holy Spirit, the Sanctifier, in the Holy Church." The word "creed" comes from the Latin word, credo, which means "I believe," and it is how the Nicene Creed begins. This set of principle truths of the faith unites the entire Catholic world. The Nicene Creed is actually the Nicene-Constantinopolitan Creed, which gets its name from the First Council of Nicea (325 A.D.) and the first Council of Constantinople (381 A.D.) where it was adopted. It is a formulation of what the Church has always and everywhere believed. and rose again on the third day in according to the Scriptures. There is only One God, but this One God is Three Divine Persons. They are One in being, and each is fully God. Yet, they are each distinct Divine Persons with unique attributes. God the Father is the source of the whole Trinity and as such has the whole work of Creation attributed to Him even though it is the work of all Three Divine Persons. Only God the Son united Himself with humanity in His personhood. The Son of God is begotten or born of the same essence or substance as God the Father, and so since the Father is eternal, He too is eternal. Since the Father is God and He is one in being with the Father, He too is God. God the Son was incarnate, meaning He became human, while He remained God. Jesus Christ is the Son of God and He is fully God and fully human. His death was His perfect and total gift of Himself to God the Father. A gift so pleasing that it more than makes up for all the sin in all the world for all time. A gift that needed to be made by a human on be half of all humans since humans were the ones to sin, and yet, a gift that only an infinite and all loving Divine Person can give since it was an infinite and all love God who was offended by our sins. After rising from the dead He took His place in Heaven, which is important because it means that His Sacred Humanity entered into heaven. God the Holy Spirit is the love that exists between God the Father and God the Son. A love so strong that He is the third Divine Person of the Trinity. He too is equally God with the Father and the Son. It is the Holy Spirit to whom we attribute the protection and guidance of the Catholic Church. We profess this faith at baptism, which unites us to the Church and to Jesus Christ. The Church is the Mystical Body of Christ (Rom 12:5; 1 Cor 12:12–27; Eph 3:6 & 5:23; Col 1:18, 24). Jesus Christ is understood to be the "head" of the body, while the "members" of the body are the members of the Church. Just as the Head rose from the dead and lives forever in heaven, so too do we believe that the faithful members will be raised from the dead and enjoy life in heaven. United to Christ and to each other through baptism and our common faith, we profess this faith every Sunday and Solemnity, and in doing so, renew our faith. 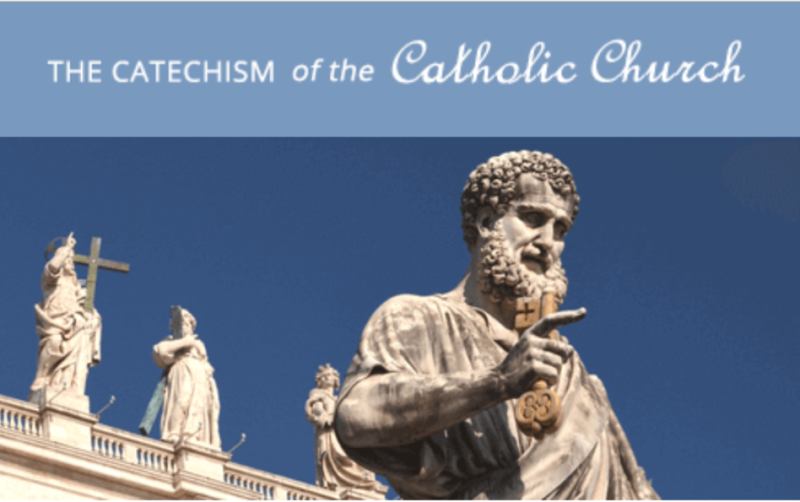 The United State Conference of Catholic Bishops have made the Catechism of the Catholic Church available online. The Catechism is a more detailed summary of the faith than the Nicene Creed. 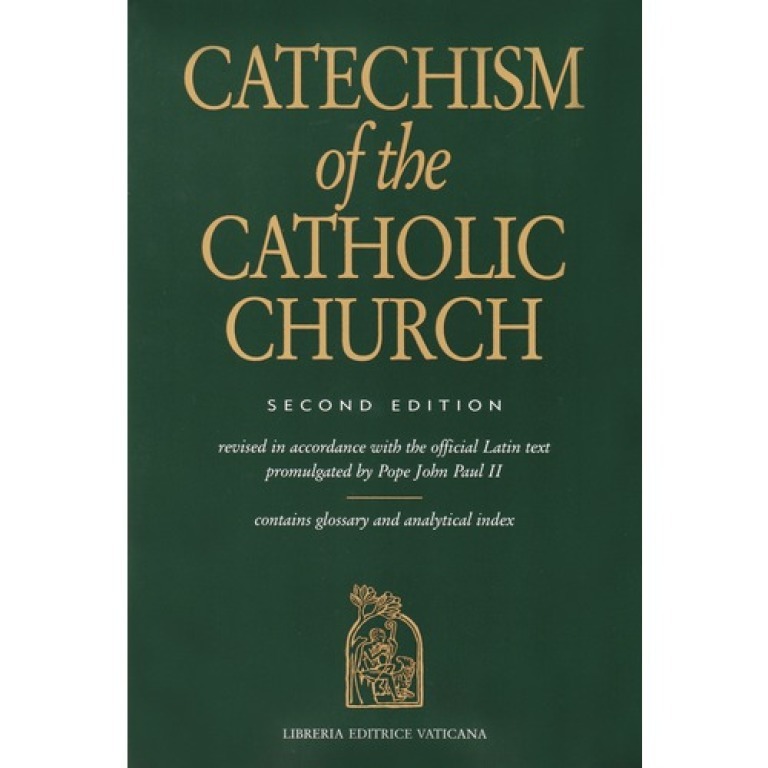 Reading the Catechism is a great way to learn more about the Catholic faith. The Knights of Columbus offer an online searchable Catechism of the Catholic Church.